For anyone who has just left school or university the big question is how to create a great resume without any work experience. It can be quite an intimidating and scary time learning how to write a resume, especially if you really have no work skills or experience to write about. So what should that first resume contain? With very little or no experience to speak of what can you put into a resume? What can you say without handing in a piece of almost blank paper? Let’s look at a few suggestions, ideas and tips to help make your first resume a winner. If you have never written a resume before, or you’ve never really seen a resume before pop online and find a website that offers you free sample resumes. 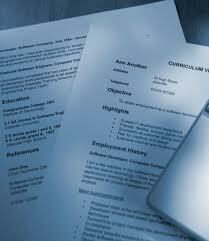 A blank resume will give you an idea on layout, required information, the correct formatting etc. Put all your information together and make sure it’s up to date. If you have some obscure e-mail address or something that sounds frivolous consider setting up a new account – just as a work contact that reflects your name or identity. Sending off a resume with a return email of sexypants@hotmail.com just doesn’t sounds as professional as sallyjones@hotmail.com. Still keep your old e-mail for friends, but set up a new account that’s work related. Take a few lines to list any special qualities or traits you have that relate to the job you are applying for, consider if you are good with people, do you have good communication skills, are you a hard worker, are you willing to learn, do you work well as a team or are you able to work alone? If you don’t actually have any work experiences do not lie about it, don’t create false details, and don’t add anything to your resume that you can’t back up. Even if you never get caught, starting your professional/working life with a lie is not desirable. Mention any jobs you have had, no matter what the job was, where or for how long. If you have anything worth mentioning then mention it! Don’t forget to list your educational background and any qualifications you have. If you have any skills that tie in with the position you are applying for. As a school leaver don’t forget to add any other skills or interests, did you work on the school paper, debating team, any committees, school captain, sporting teams – anything that show you have skills, commitment and passion, that you are flexible and adaptable. If you have done any volunteer work this can always be mentioned, from around school or university, charity shops or the local church. Anything that shows leadership, team work, managerial skills etc can be mentioned. Never ramble, don’t go off topic and don’t list anything that has nothing to do with the position you are applying for. Keep it short and keep it to one page or less. Don’t use coloured, scented or patterned stationary, plain white paper only, while some make the mistake of thinking bright, colourful paper will get them noticed it will – but for all the wrong reasons.